1. Library books with the crinkly cover. 2. Snuggles with the dog. 3. Amazing lightening shows in big storms. 4. Hearing all about someone's vacation as soon as they get home. 5. Frying my own corn tortillas. Nothing tastes better. 9. Looking at something you transformed with paint and loving it more each time. *the bonus old photo has nothing to do with the content of this post at all. 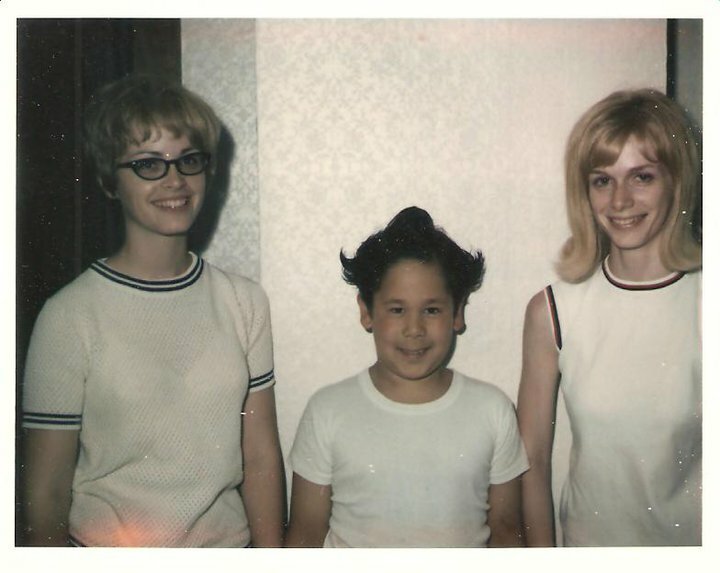 It's my aunt, a cousin, and my mom a long time ago. It made me smile this morning.